In actuality, I’m about 3/4 Latvian and only 1/4 German, but, culturally, it was enough to cause a problem in the emigrated Latvian societies of the fifties, sixties and throughout the Cold War. When my parents fled the racism of North Carolina, they followed an invitation from a friend of my father’s to come to Indianapolis. The Latvian community was fairly strong there, running around 2500 people. They had a community center and even two Latvian Lutheran congregations (I assume those two congregations couldn’t come together because of politics & personalities, but I don’t really know the truth behind that division). Latvians had a community choir, a variety of musicians, and of course, visual artists & traveling theater companies. Like other emigres, the goal was to maintain the status quo as much as possible. Many of the older Latvians, grandparents and the like, never learned English. In 1952, we entered that community and because of my father (who was 100% Latvian and a “good ole boy” from the old country) we had early acceptance. Despite our poverty (like most of the immigrants of the time), my parents had a fairly busy social life in the community (card parties, dinner parties, and the like). The first hitch came when my Father refused to attend church. This put everything on my mother and since we didn’t own a car (nor did my mother drive until she was well into her late forties), the constant jostling for rides etc., put us down on a lower rung of the Latvian social hierarchy. Nonetheless, my mother did her best to be active in various Latvian organizations: she sing in the Latvian choir, attended folk festivals, worked on church committees, and so forth. In another compliance to the culture and community, my mother insisted that both my brother and I attend Latvian School on Saturdays. I can’t speak for my brother, but I’m fairly sure we both hated it. But of course, little did the Latvians know, that my mother was also touting our German roots, singing us German folk songs, telling German folk tales, and telling us her story that revolved around her experiences within the German world of Latvia and later her years as a “re-patrioted” German. Oh yeah, she was a long way from the Latvian model. But the breaking point in our Latvian connection came with my father’s death in 1961 and the evolving eccentricities of my mother. My mother’s status as “widow” put her in a precarious position. Twenty-five years younger than my father, she was still quite eligible for a second marriage and the women of the community found her presence threatening. At least, this is what my mother told me. In later years, I began to see another dynamic of the “mixed breed” syndrome. With my father’s death, my mother’s German heritage became more and more apparent and questioned by the Latvians. At the same time, our small triad of a family became interested things American (particularly with my brother in high school and achieving some acclaim there). I became quite rebellious in “junior high” and wanted to stop being different and just wanted to “fit in.” I wanted to be a regular American. My ultimate return to my Latvian roots is another story. But for this moment in time, I became a self-inflicted girl without a country. Because, truth be told, despite my best efforts, I remained just a bit different from my American friends and by then, had burned too many bridges in the Latvian world. I have no one to blame by myself. 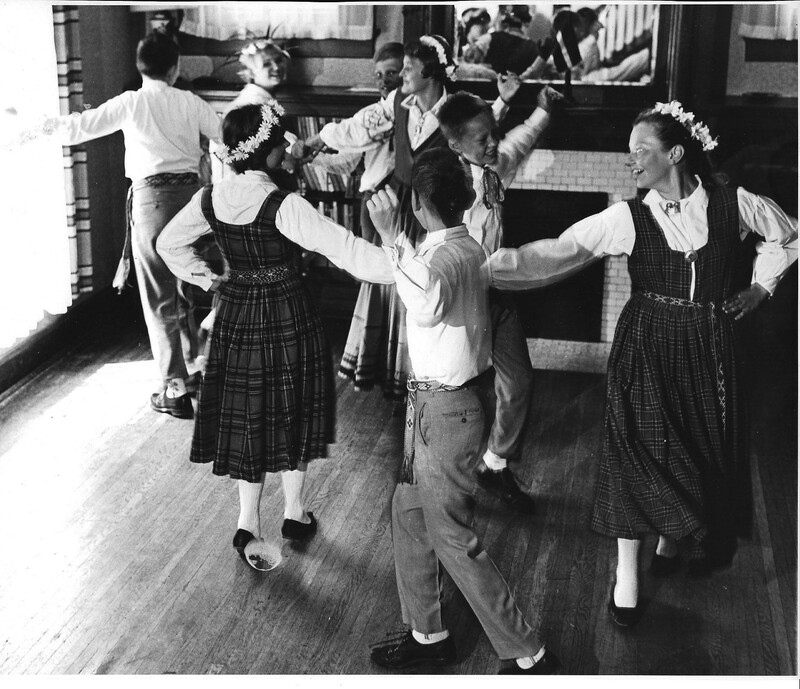 I occasionally wonder what my adult life would have been like if I had put more energy into the Latvian part of me: going to Latvian summer camps, learning all the Latvian folklore & folk songs, joining a Latvian sorority, perhaps having an “authentic” folk costume sewn, and of course, making pilgrimage there. Perhaps I would have married a Latvian and insisted that my children speak the language. This was the ultimate path for first generation Lativan/Americans, the dream of the those who emigrated here, to sustain their culture. In the days of the Cold War, all the way up until 1991, it was a point of pride for many Latvians (and really, any of the Baltic peoples), to protect their heritage while the Soviet Union did everything it could to destroy it back home. Their ultimate dream was that the Iron Curtain would come down and all satellite countries would be free again. But for a teenager or even a twenty-something off to live life, the idea of a free Latvia was absurd and the fall of the Soviet Union an impossibility. So much for impossibilities. The curtain did come down in 1991 and many stalwart Latvian/Americans returned to their homeland. Not me. Not until much later. Much, much later did I yearn to know and to go back. Almost too late. Almost. Posted on January 8, 2012, in Meanderings, Memory, Writing Roots and tagged childhood, cultural heritage, father, folk festivals, immigrants, Lativa, Latvian, mother. Bookmark the permalink. 4 Comments. So, you went back? Or you’re about to go back? I am 2 generations removed from my Lithuanian roots. My great grandmother knew very little English, my grandmother was bi-lingual and my mother passed on the only 2 Lithuanian phrases she knew to me: “How are you”? And “Do you want a cup of coffee”? (The latter is still very important in our family.). My cousin has traveled to Lithuania to try and put our family tree together. Still, I know things have changed a lot since people began coming to this country from all over the world, but I just see being the kindest, most honorable person one can be as the most important thing. That doesn’t change how our past has affected our present, I know. I’m fascinated by my ancestors. They are a source of great curiosity, that will probably go unsatisfied. For now. Thanks. In the spring, our library is having an “open Mic” night for people to tell their immigration stories. I think it will be fascinating. I do believe the 1st generation is heavily influenced by the cultures thee parents brought with them. starting it broadly from the Usa and U.K. before this calendar month. video and voice but, these need a plug-in set up).